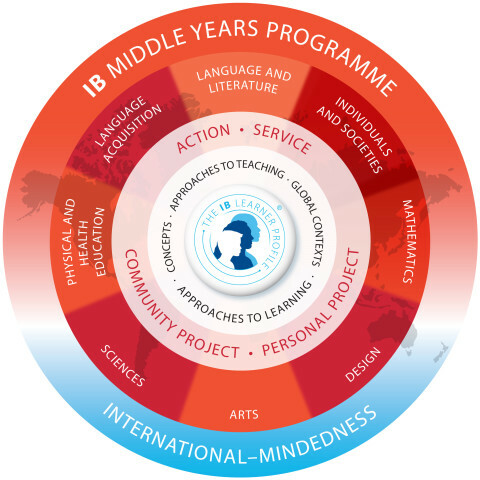 The IBO defines the MYP as a programme, for students aged 11 to 16, that provides a framework that encourages them to make connections between their subjects and the real world. emphasizes, through the learner profile, the development of the whole student–physically, intellectually, emotionally and ethically. 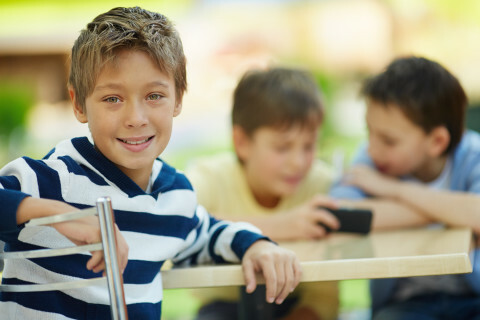 The MYP consists of eight subject groups, which allows for a comprehensive and balanced curriculum. Students learn through global contexts, which allows them to connect their own lives and experiences to the real world. The MYP is a conceptual based program and these ‘big ideas’ allow student be engaged and inquire within the different subject areas. Throughout the programme students develop their social, thinking, research, communication and self-management skills (called Approaches to Learning or ATL’s) in which they are essentially learning how to learn. In addition there is a Community and Service component, called Action as Service, where students extend their learning outside the classroom and can have a positive impact on the lives of others as well as the environment by taking part in service projects. At the heart of the programme is the IB Learner Profile, which consists of 10 attributes that we strive for all of our students to possess.